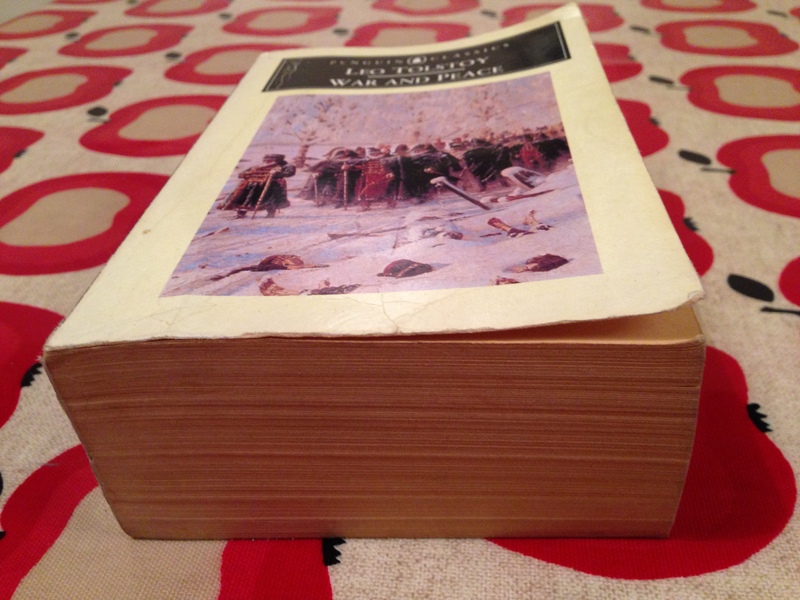 I planned to start reading War and Peace 6 days ago. One day I’ll be a disciplined person. Or possibly not. There are 1444 pages in my Penguin edition (trans. Rosemary Edmonds, 1962-3, revised 1978). There’s a list of principal characters, which I thought was helpful until Wiki informed me that there are nearly 600 characters in this novel. The list names a full 26. What have I taken on? The foil blanket awaiting the end of this marathon…. It’s predictable and trite to moan about the patronymic system in Russian novels so I won’t mention the fact that I’m struggling with the fact that everyone has 27 names. Instead I’ll restrict myself to sharing my frustration that three – three! – principal characters are called Nikolai and the narrator refers to ‘the princess’ when there’s more than one princess in the room. These quibbles aside – I’m hooked. 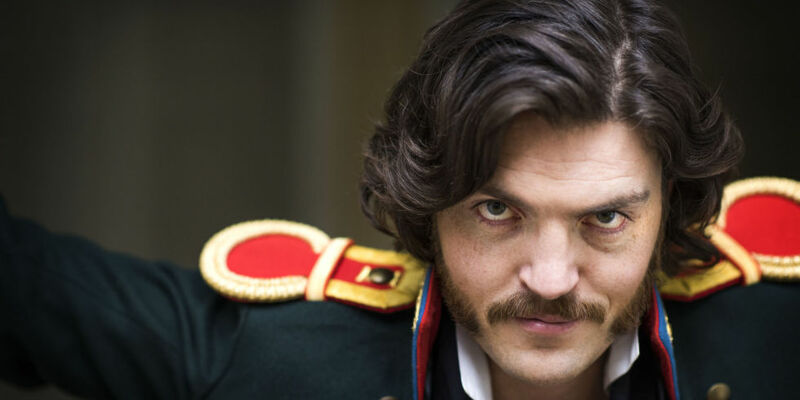 War and Peace is completely brilliant. War and Peace should come with a health warning: will induce antisocial behaviour. I’m really annoyed that social engagements arranged BWP (Before War and Peace) are taking me away from my reading time. 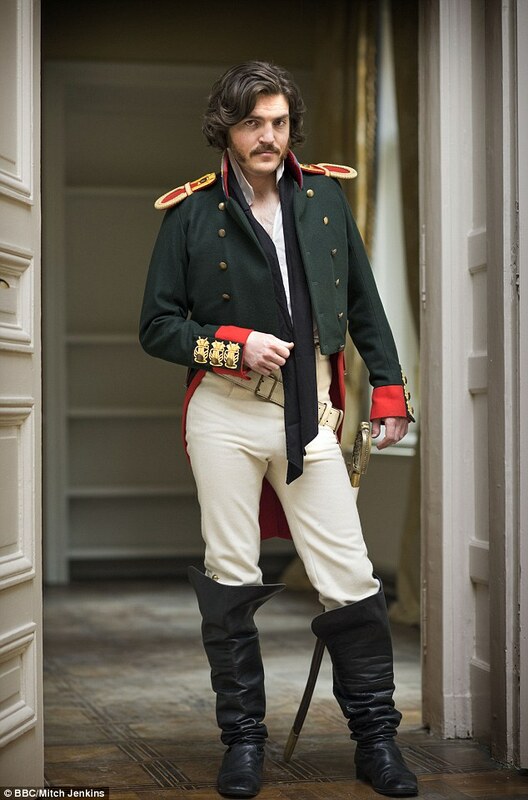 I look up at the end of my commute disappointed that no-one around me looks even vaguely Cossack-like and apparently we’re no longer at war with Napoleon. Tolstoy is astonishing. Maybe no-one mentions his wit because his psychological insights are so devastating. But who are they to this one-man dirty bomb blasting his way through the drawing rooms of Moscow? I wonder who plays him in the BBC adaptation? I doff my hat to you, BBC casting director. Total pages read: 702 Pages remaining: 742 (managed to catch up to my goal of 100 pages a day). Nearly halfway! War! What is it good for? Absolutely nothing. Say it again, y’all. The serious tone continues, with the bitchy social commentary sadly no more, but it does sharpen the focus on the horrors of war and the psychological fallout on the characters. A man sat next to me on my commute today sporting an enormous white beard and a Cossack hat. He has no idea how happy he made me. The final stretch! I can’t say too much about what I’m reading for fear of spoilers. Instead I’ll just say that I’ll be sorry to see it go, and frankly, I wonder if Tolstoy could have made it a bit longer. Total pages read: 1444 Pages remaining: none! 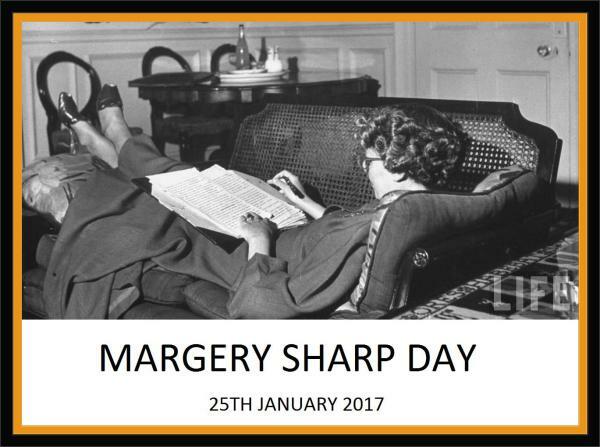 This is my contribution to today’s celebration of Margery Sharp Day, hosted by Jane at Beyond Eden Rock. Happy Birthday Margery! Cluny is a young woman, living with her plumber uncle as both her parents have died. She resolutely goes her own way and harms no-one, and can’t understand why people find her habits – such as the decision to stay in bed all day eating oranges – so objectionable. After a misunderstanding which sees Cluny fix the blocked sink of an amorous older man in Chelsea, Uncle Arn sends her away to service in Devon. Secondly, The Eye of Love (1957), the middle-aged love story of Harry Gibson and Dolores Diver. “For ten years they’d given each other what each most wanted from life: romance. Now both were middle-aged, and if they looked and sounded ridiculous, it was the fault less of themselves than of time. “ ‘My Big Harry! My King Hal!’ cried Miss Diver. ‘My Spanish rose!’ cried Mr Gibson. The grief is due to Harry needing to marry the daughter of a business rival, in order to amalgamate the businesses and save his shop. And so it is a novel with lovers parted. We follow Harry’s attempts to integrate into a new family, and Miss Diver’s attempts to earn money without his support by taking in a lodger (Mr Phillips, who finds the house – which he believes his landlady owns – very attractive). Meanwhile, around the edge of all this trauma, is Miss Diver’s niece, Martha. A self-contained child who Sharp frequently describes as “stolid” Martha does as she pleases. She doesn’t attend school – Miss Diver didn’t arrange it and Martha has no inclination to go – and instead walks around town, sees her shopkeeper friends, and soon discovers an all-consuming passion for drawing. I adored Martha. Stubborn, self-possessed, strong-willed and lacking any sentimentality, she was just wonderful. Sharp wrote two sequels about this unforthcoming heroine, Martha in Paris and Martha, Eric and George, which I will hunt down forthwith. Back to the adults. The Eye of Love is quite a feat, because while Sharp does not expect her readers to view Harry and Miss Diver as they view each other, at the same time she does not present them as harshly as the other characters judge them (particularly Miss Diver’s pretensions of Spanishness (real name Dorothy Hogg)). Her writing is acutely observed, with dry humour, but it is also kind. The foibles of the characters are funny but oh-so-human. Poor Harry. Poor Dolores. Will they find their way back to one another? All I’ll say is, as with Cluny Brown, I thought the ending of The Eye of Love was perfect. Well, it’s early days in 2017 but already things are looking up. I’ve met a new love in my life and I make no apologies for the gushing superlatives she inspires in me. 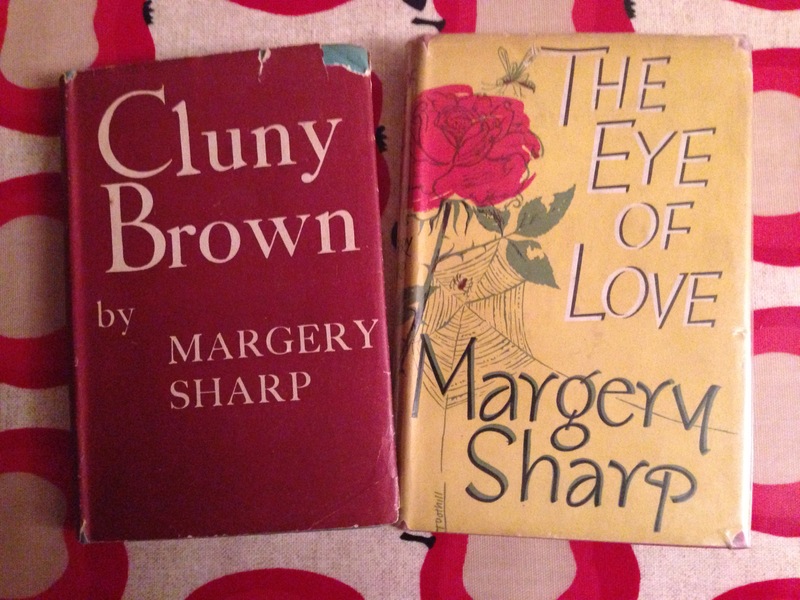 Margery: where have you been all my life? Firstly Snowblind by Ragnar Jonasson (2010, tr.2015 Quentin Bates 2015). I’m not a huge reader of crime fiction set any time after the middle of the last century, but I was convinced by the enthusiastic reviews of FictionFan and Sarah from Hard Book Habit, and the promise that this was like a golden age crime novel but with a contemporary, Icelandic setting (the author translated Agatha Christie into Icelandic when he was 17). Rookie copper Ari Thor Arason leaves Reykjavik and his girlfriend behind to take a posting in the remote town of Siglufjordur, in the far north of Iceland. A place so small you don’t need to drive to get around, and only accessible via a mountain pass. As Ari Thor settles into life in place where everyone knows everyone and no-one locks their doors, a local celebrity falls down some stairs whilst drunk and dies (or did he? or was he?) When a woman is found close to death, bleeding out in the snow in her garden, the police start to suspect that the two may be linked. As “every winter is a heavy winter in Siglufjordur”, the mountain pass is soon made unpassable through an avalanche, and so essentially what Jonasson has done is use the snow to create a claustrophobic, tense, locked-room murder mystery (please commend me on my enormous restraint in avoiding snow-based puns like ‘chilling’ or ‘unsettling’, despite the fact it is both those things). Snowblind is a short novel (252 pages in my edition) and so I can’t say much more without spoilers. What I will say is that it feels resolutely contemporary with references to the financial crash which devastated Iceland at the time (although for the once-busy port of Siglufjordur, “if there’s a recession here, it comes from the sea”) whilst at the same time being part of a tradition of non-gory, page-turning whodunits. Siglufjordur itself is wonderfully evoked, with a real sense of place created, whilst at the same time becoming a fictional other, and somewhat eerie. My quibble would be that I thought the story lost momentum a bit when Smilla left Denmark and journeyed towards Greenland; I think the return to the land of her childhood was inevitable so maybe it needed a heavier edit earlier in the novel. But overall, an intriguing premise for an intelligent mystery with a strong political message. A couple of weeks ago I wrote about novels featuring dinner parties with truly horrible people. If you thought that post was depressing…welcome to its companion piece, all about alcoholics. Happy New Year! Ultimately, though, a sense of sad, quiet desperation pervades. And we know where this takes her. Like Bob, Jenny seeks an escape into something which cannot sustain her. Unlike Bob, she does not move on, and her life becomes hopeless. Hamilton gives Ella the most humour in her voice, and I was really rooting for her not to marry Eccles (despite it meaning she would adopt his excellent cakey name), not to despair and not to give up. I finished Twenty Thousand Streets under the Sky feeling, frankly, depressed. This is an indication of its excellence though: the characters are believable, the portrayals sensitive, the writing sharply observed. The BBC adapted Twenty Thousand Streets under the Sky in 2006. I saw it at the time and from my memory it was very good. Some kind soul has uploaded all 3 episodes to YouTube and it stars the wonderful Sally Hawkins as the luckless Ella, so definitely worth a look. Poor Georgette is fundamentally a romantic, who desperately wants to be loved, but looks for it in all the wrong places. To be honest, I couldn’t see that anyone would find even a grain of human kindness in Selby’s Brooklyn, let alone love. Selby’s style is stream of consciousness, avoiding punctuation so as not to disrupt the flow, in an attempt to capture the authentic voices of the characters. He does this brilliantly, and his artfulness does not disrupt from the sense of chaos in the character’s lives. The style is perfect for the story he wants to tell. To end, a question for you Reader: why is it when people say “Why does no-one write songs with stories anymore?” (which is true) they so often follow up the comment with “You know, like Richard Marx?” It’s very distressing, because after I’ve finished rending my garments, I have physically restrain them and force them to listen to Leonard Cohen and Squeeze. Here is a song about an alcoholic by the much-underrated band. Not their finest, but so apt for this post. I don’t really worry about my drinking, but the lyric “Like some kind of witch, with blue fingers in mittens/She smells like the cats, and the neighbours she sickens” does make me worry that Glenn Tillbrook has seen my future… where did I put those YouTube kittens?